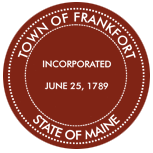 The Frankfort Selectmen meet on Monday nights from 6:00 PM to 9:00 PM. If a holiday falls on a Monday, the Selectmen will meet Tuesday at 6:00 PM. The Town of Frankfort Assessors will meet at various times through out the year.